It was a windy and challenging Gator Cup in Florida and when the dust settled, Team Easton took the top step of every podium- again. 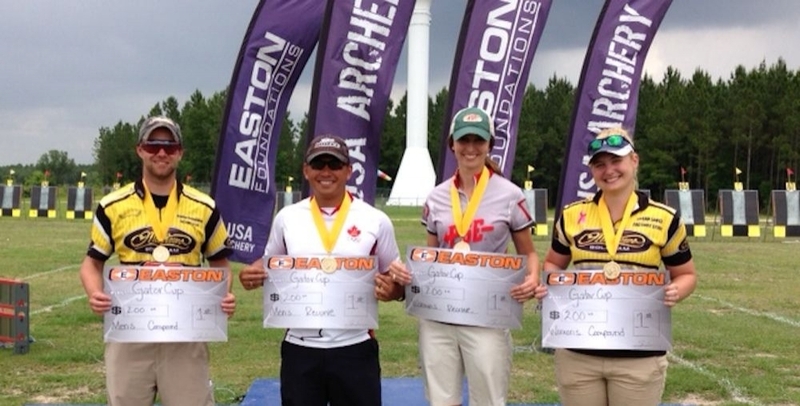 In men’s compound, Easton shooter Braden GELLENTHEIN shot three perfect 150s on his way to take the championship title, Reo Wilde, who will join Gellenthien and Rodger Willett Jr at the World Cup in Medellin Colombia next week, finished with the bronze medal win. 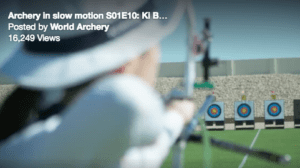 Compound archer Sarah Lance, who started her 2014 season with a win at the Vegas Shoot, was golden today as well: she took a very narrow victory over silver medalist and World No. 1 Erika Jones, 146-145. Earning a spot on the national podium for the first time in her career was Crystal Gauvin, who won a comeback victory versus Kailey Johnston for the bronze. 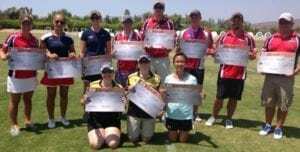 In women’s recurve, LaNola Pritchard and Jennifer Hardy shot for gold, and Hardy proved unstoppable this weekend. The number one seed, three-time Olympian Hardy shot her way past several strong opponents today to win the gold medal, 7-3 – and Mackenzie Brown earned a medal of her own, a bronze versus Heather Koehl. 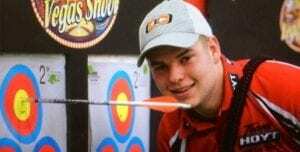 The recurve men’s final was an all-Olympian showdown between hometown hero Jake Kaminski and Canada’s Crispin Duenas. With a 3-3 tie after 3 ends, it was clearly anyone’s game, but Duenas took a 5-3 lead and pushed ahead for a 7-3 gold medal win. Bronze went to Olympic medalist Brady Ellison, with a win over Resident Athlete Daniel McLaughlin.